Boys adventure comics: ComicScene magazine launches! 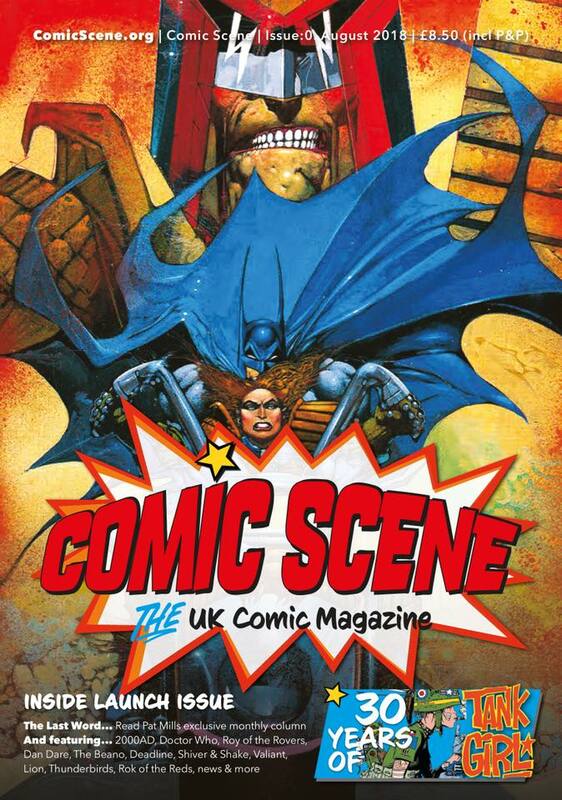 ComicScene UK launches 1st May in print and digital format. You can’t buy it in the shops – it’s via mail order only. You can see all subscription details and offers below and here.. Celebrating all that is great about comics in the UK and worldwide what should you expect in the 64 page launch issue of ComicScene. How Comic Books Help Us Relive Our Childhood – Benoit Peeters. How comic books help us to relive our childhood” was first published – in French and in English – by The Conversation (http://bit.ly/2BSYYk8). French graphic novelist and critic Benoît Peeters is Visiting Professor in Graphic Fiction and Comic Art, the first such appointment in the UK. With thanks to the Lakes International Comic Art Festival (12th – 14th October 2018 www.comicartfestival.com) for arranging this representation. Shiver and Shake – Martin Dallard takes a look at a fabulous first issue! Hatch, Match and Dispatch Valiant & Lion – David Moloney speaks to Chris Lowder and Steve MacManus about the merger of two great titles. Through the Looking Glass: The secret history of Toxic – John McShane takes a look at Toxic and the influence Scotland has had on comics. Dan Dare signing this afternoon - don't forget! Bryan Talbot @ the British Library tonight! Striker comic launches on Kickstarter! Cam Kennedy masterclass is tonight!